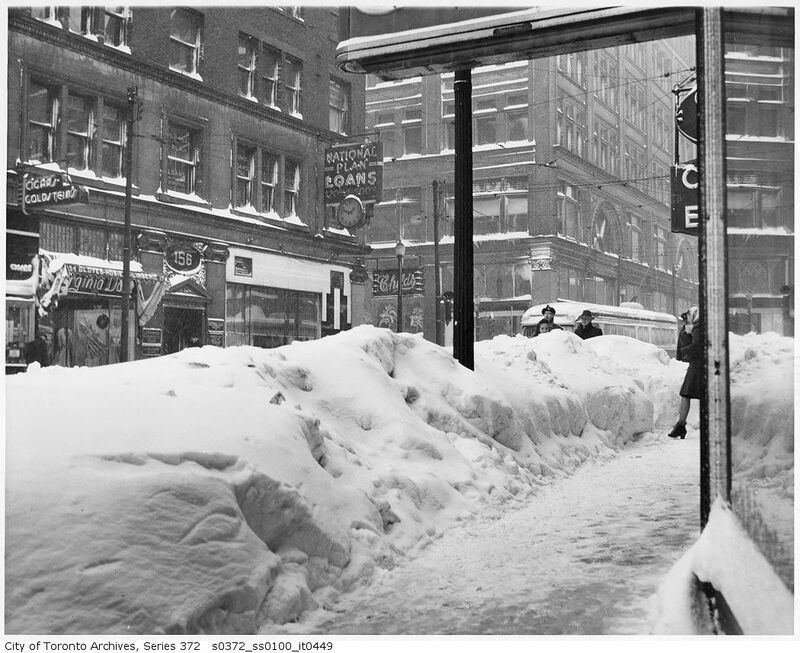 The city’s relationship with snow usually seems to follow a fairly predictable course. The first snowfall is met with either shock and rage and fear, or excitement and wonder and snowballs. Then the next few snowfalls often deepen those initial sentiments, and when the holidays come everyone is universally more okay with white fluffy stuff. Or, more accurately, the grey slushy stuff. By mid February everyone is pretty sick of the whole ordeal; the shoveling, the slipperiness, the wet toes, and the fact that it just causes excessive inconvenience and grumbling. Of course, I may just be projecting my own typical annual feelings, but nevertheless, the inevitable soggy byproduct of the hiemal season always manages to surprise us. 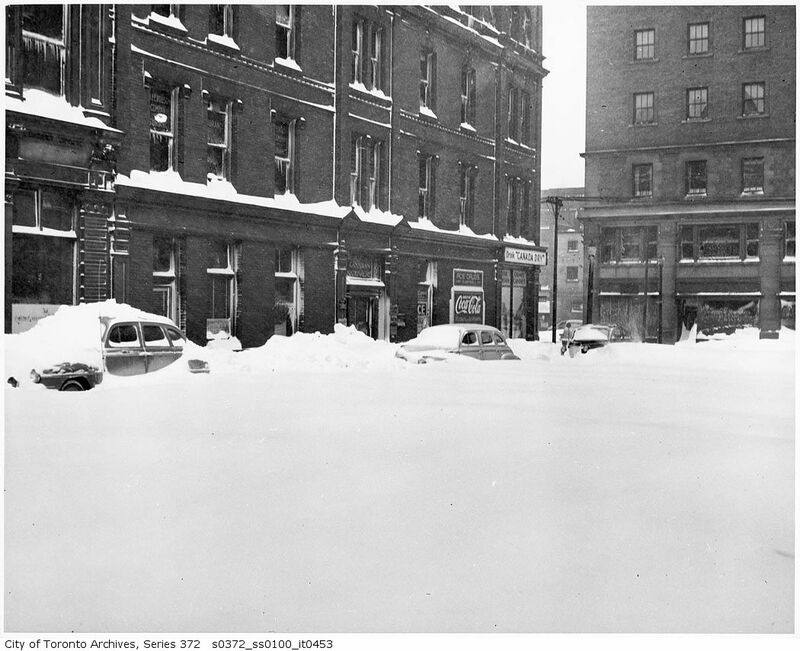 Almost 50 cm of snow was dumped on the city in a single day on December 11th, with 7 more coming in the following day. 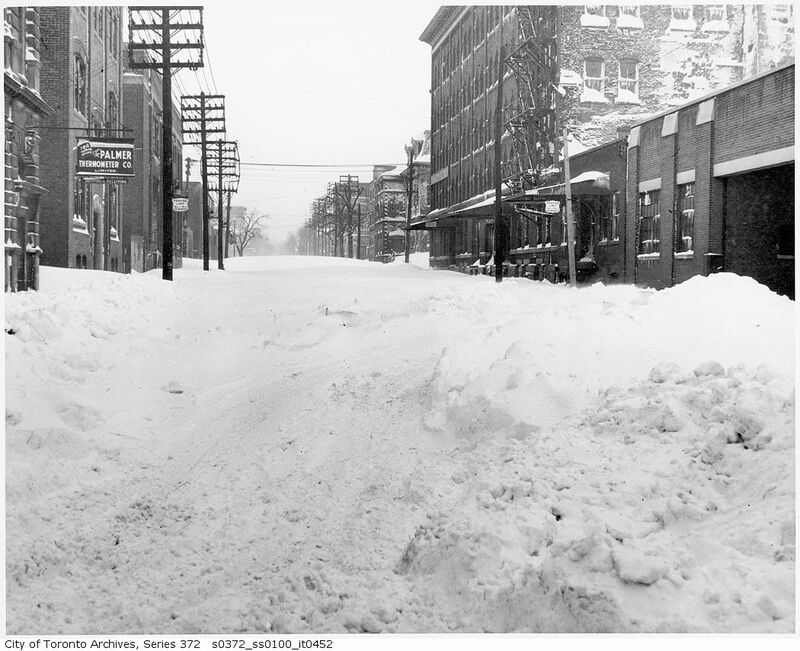 The blizzard blanketed and buffeted a lot of southern Ontario, prompting one newspaper to devote the front page headline to something other than the war effort, which was rare. Naturally, things shut down and even the most valiant attempts at maintaining a perfect work attendance failed. Almost everything was closed around the city, and one of the the most concerning things at the time was the war ammunition factories not being operational. They were the among the first buildings to start running again, with some factories even putting in a half day on Wednesday the 12th. There were 21 deaths during the storm, apparently more than half of them caused by people over-exerting themselves in the attempt to shovel giant snow drifts. 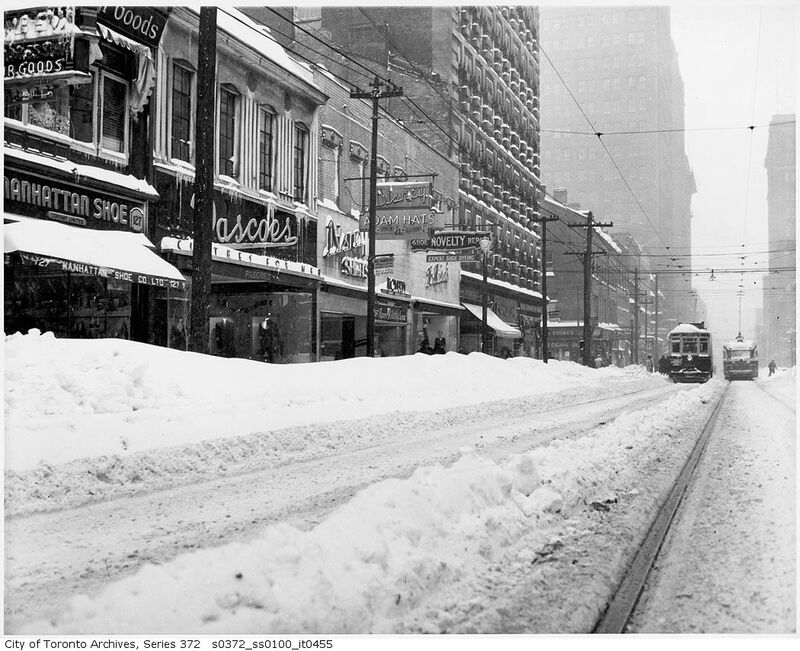 A streetcar tipped over after it derailed because the track splitter was so packed with snow, killing one person and injuring over 40. There were stories about funerals being held off for a couple days, mothers to-be either walking or being driven by the police to the hospital to have their babies, people not being able to get their deliveries of milk and bread; just all kinds of chaos. Not everyone was adversely affected by the record-setting downfall though. Apparently kids were using the opportunity to hike up their shoveling fees. 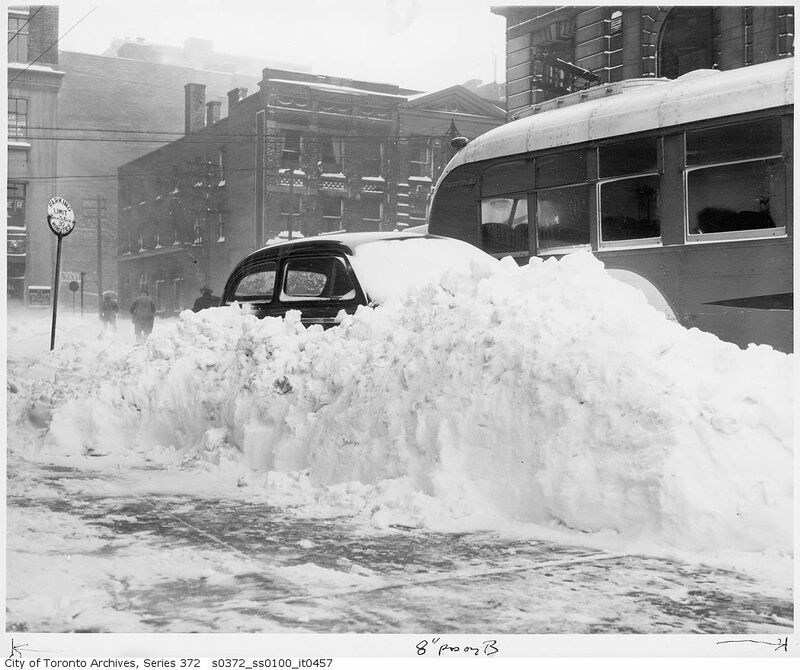 I’m not sure how it compares with going rates today, but one small group of boys got $15 for shoveling the drive of a small apartment house, equivalent to about $200 in today’s money. The chaos slowly subsided and things got back to normal by the 15th, but I’m sure things moved rather slowly for a while downtown. 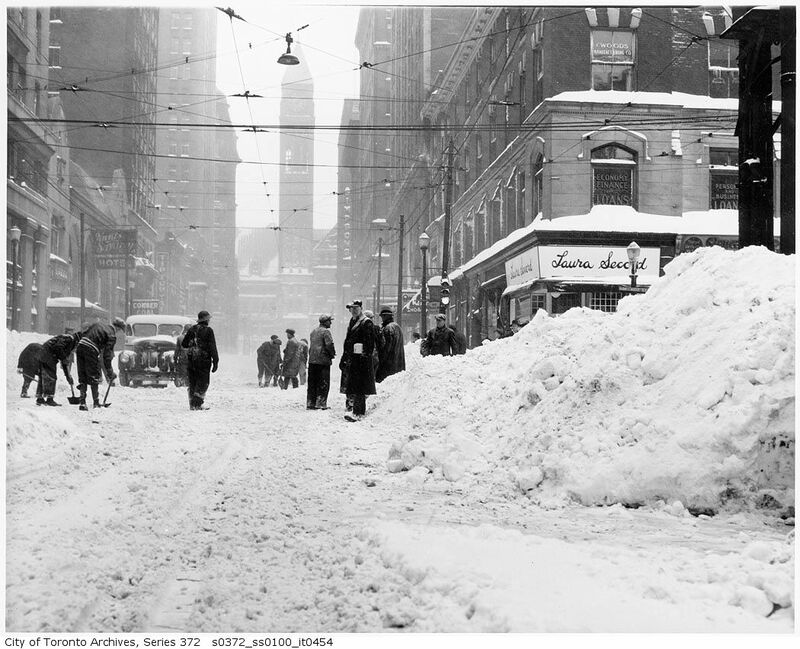 While this snowstorm still holds the record for biggest single day snow fall in Toronto, and has often been called the Great Toronto Snowstorm, I would encourage checking out Toronto’s “Snowfall of the Century”, a month of bedlam in 1999 where Mayor Mel Lastman called in the army to save the city. Or if you don’t want to listen to the dulcet, sparkling tones of Peter Mansbridge from 1999, you could just sit and plan how you’re going to react to our first real snowfall of 2014. My personal recommendation is excitement and snowballs. And maybe stocking up on bread and milk and Laura Secord chocolate, just in case.